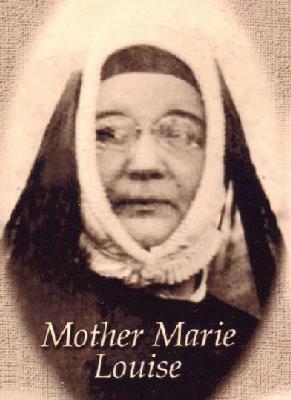 Her religious name was Mother Marie Louise. [S56] 1880 Census;, She is shown living with her widowed mother and three younger children. [S56] 1880 Census;, T9-1025 P. 9A. 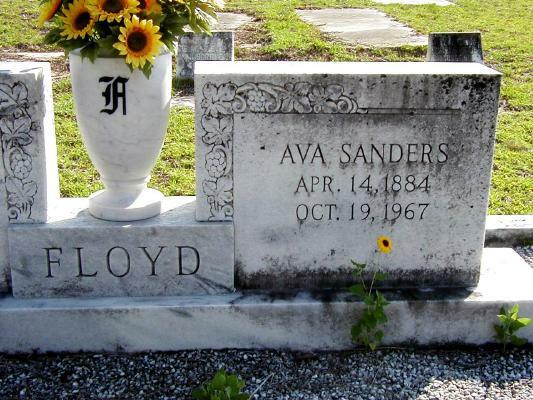 Name given by LaVerne Floyd Dykes. [S523] Floyd Family Headstone, MVW file, 100 Beach Dr. # 1801, St. Petersburg, Pinellas County, FL. [S561] Beverly Potts, "The Davis Brothers," e-mail to Margot Woodrough, Oct 18 2004. Name given by La Verne Floyd Dykes. Biography* � By the way, have you ever run into the name Sarah Holland in the Pulaski area, perhaps Twiggs, perhaps Bleckley? 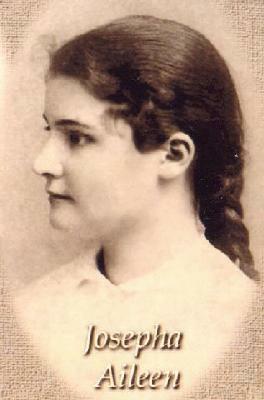 She was the first wife of Henry J. Sandiford, and one of their children was Henrietta, called Hennie. Aunt Hennie, as everybody called her, was, how shall I say, the life of the party. Much joie de vivre. She took to her stepmother, Sarah Prichett Sandiford (Henry liked Sarahs), and apparently didn't venture over into Hollandland after her mother's death. I seem to recall that Henry's father was a plantation overseer for one of the Hollands. [S486] Donald Floyd, "Donald Floyd." Biography* � Henry J. Sandiford, himself, was an overseer for Daniel Holland, whom I describe in my book as being a wealthy 65-year-old Twiggs County farmer. Further, I note that Henry J. was apparently a bachelor when he held the job of overseer around 1860 at the age of 30. It's possible that Henry J. and Sarah came in contact while he worked there, but my book theorizes that Sarah's father was Elisha Holland, although I was not able to establish what connection there was, if any, to Daniel Holland. Here's my reasoning on Elisha. The 1850 Pulaski census showed Sarah, age 15, living with Elisha, along with mother, Mary Holland. Sarah was shown as being 25 in 1860, the same year that Henry J. was shown to be 30. That fits, but this is not definite proof that Elisha was the father. I bet he was, though. I just noticed that the 1860 census shows the following living with Daniel Holland: Mary, 68, his wife; HENRYETTA, 15, born in Georgia; Henry J. Sandiford, 30, overseer, Hosey Berry, 12, born in Georgia. Hosey Berry is a real mystery. But I wonder if Aunt Hennie was named by Sarah Holland for her possible cousin, Henryetta? I think the name Frances came from the Sandiford line. Maybe you can find something.